The designs are incredibly detailed, and at 30.607 mm in diameter, the coin is the perfect size to showcase every nuance of the intricate details. 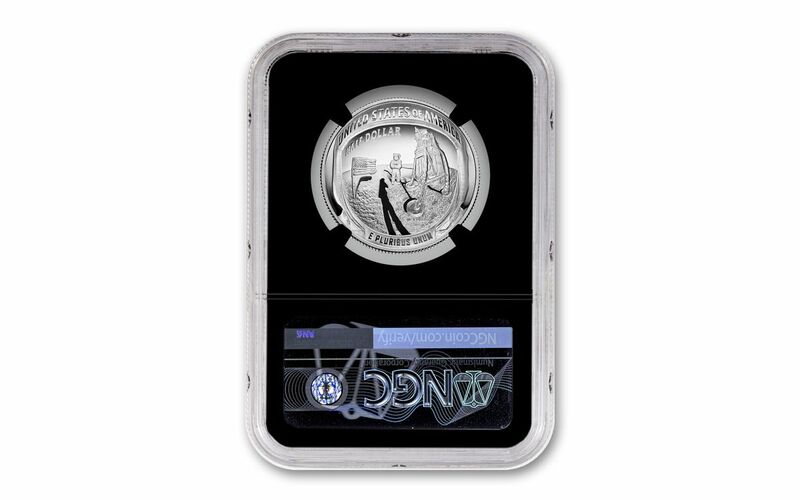 Your commemorative half dollar has been graded by the Numismatic Guaranty Corporation (NGC) as being in flawless Proof-70 Ultra Cameo (PF70UC) condition, a distinction that means your perfectly-graded coin will have ZERO imperfections – showing all features and fields exactly as the engraver and mint intended. In addition, NGC has certified your 2019-S Apollo 11 50th Anniversary Half Dollar to be a First Day of Issue (FDI) coin, independent authentication that your coin was released by the mint during the premier day of the series' issue. Each coin will come sonically sealed in an acrylic holder with a black display core and an exclusive Astronaut Scholarship Foundation (ASF) label. STRUCK IN PERFECT PROOF CONDITION – Your 2019-S Apollo 11 50th Anniversary Half Dollar has been graded by the Numismatic Guaranty Corporation (NGC) as being in flawless Proof-70 Ultra Cameo (PF70UC) condition! 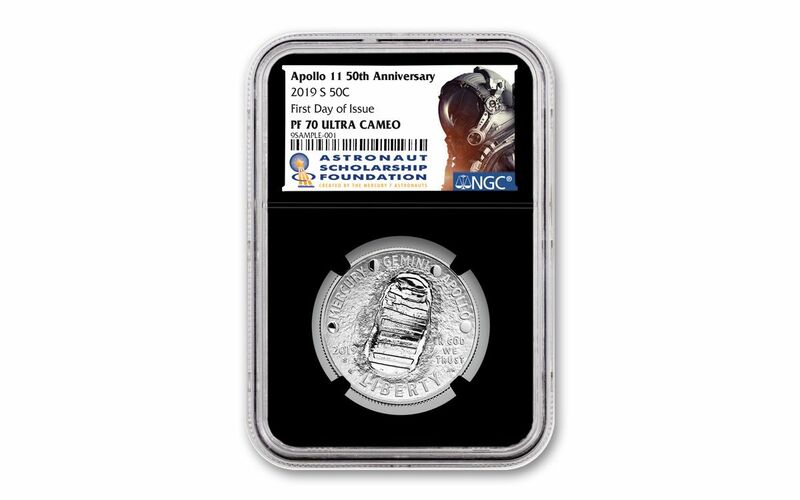 KEY FIRST DAY OF ISSUE CERTIFICATION – NGC has certified your 2019-S Apollo 11 50th Anniversary Half Dollar to be a First Day of Issue (FDI) coin. It will come sonically sealed in an acrylic holder with a black display core and an exclusive Astronaut Scholarship Foundation (ASF) label. Put the first man on the moon into your collection and honor mankind’s crowning achievement with the 2019-S Apollo 11 50th Anniversary Half-Dollar. Order yours now!